Hello, everyone. 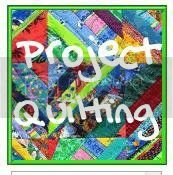 Welcome to Season 2, Challenge 5 of Project Quilting. 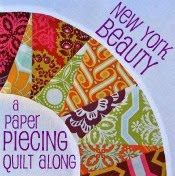 The winner of the Judges Choice will take home $10 to FabricsNQuilts and $10 to Dye Candy. 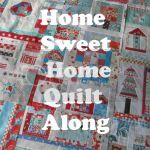 TWO randomly drawn (by my two beauties) participants in this weeks challenge will take home either $20 for Machine Quilting Services from QuiltsbyBarb OR a pdf of 2 maze quilt patterns from Lisa Penny! 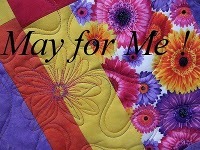 Everyone that enters a piece for this challenge can decide if they want their name entered in a drawing for $50 off the 2011 Quilts by Barb Quilt Retreat Getaway Weekend. We haven't used a traditional block for inspiration yet in Season 2, so I think it's time. 1. Your inspiration for Challenge 5 is Flying Geese. I'm sure you've all seen the traditional flying geese. Your challenge is to let them inspire you to do something unexpected. 2. For an extra twist this week, you are required to use a complimentary (opposites on the color wheel) color scheme. 4. 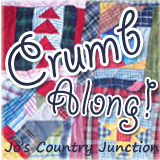 POST your entries with a description of your creative process, including where you are (ie, I create in Madison, WI) and the size of your project by Sunday, March 13th, 2011, at noon, CDT, to this flickr group – Project QUILTING with KimsCraftyApple: http://www.flickr.com/groups/1401824@N21/ OR email a picture/description of your completed project to lapaceksorchard@gmail.com with PROJECT QUILTING in the subject line. I like the idea of doing a traditional block, but doing it in a "Nontraditional" way. 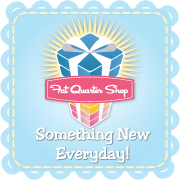 I searched the internet for ideas, dreamed all night about possibilities, and will have to do some thinking today while I am quilting/working. So many ideas floating around in my head! 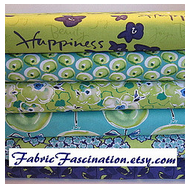 Thanks for the Etsy Treasury - that helps with ideas. Love the Flying Geese Dye Candy Jewelry. And Google has so many flying geese images too! LOVE that we are going traditional this week! Question...are to only use complimentary colors or can we add a few touches of others, too? The idea of the challenge is always to inspire creativity, not to limit it. Take the challenge and interpret it in your own way, including adding other colors. Be sure to tell us about your choices! Hmm... Things could be going better. I know why I don't normally make geese! I wish I'd had more time this week.